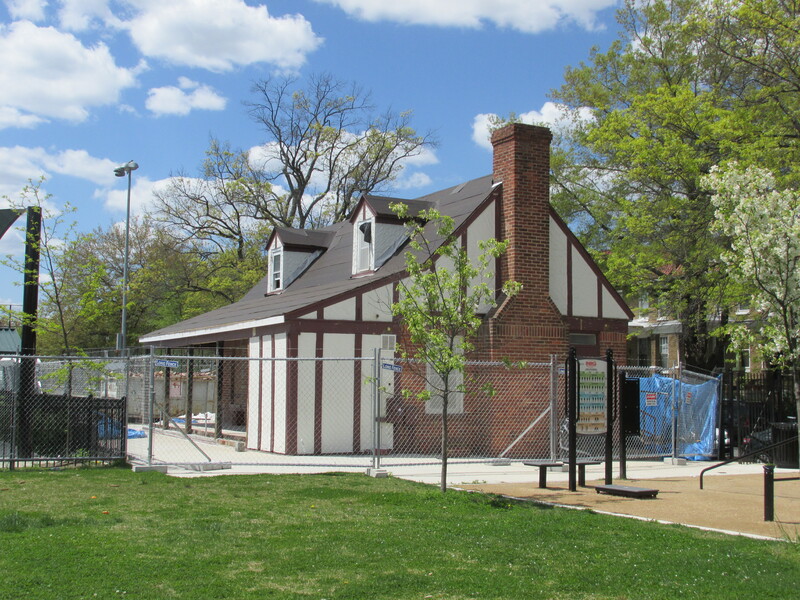 Park View Field House Project Progressing | Park View, D.C. The restoration of the old field house at Park View Recreation Center is coming along nicely. 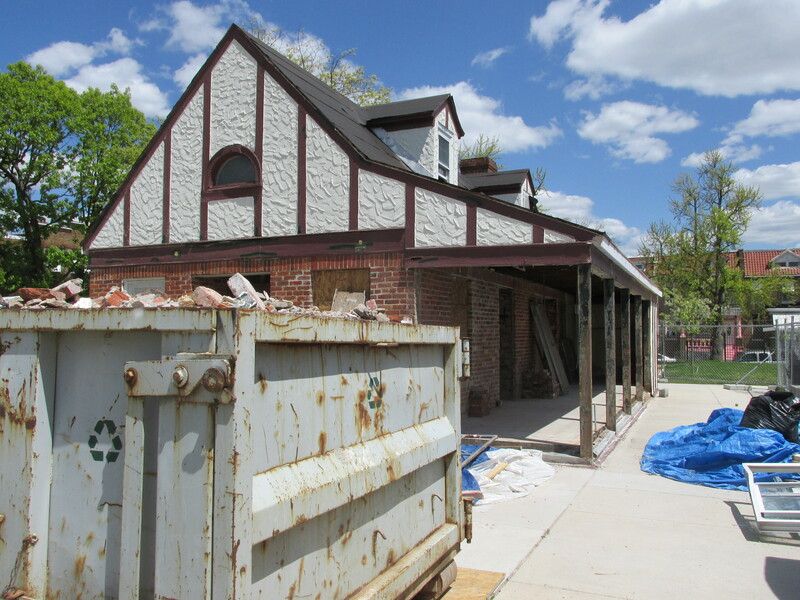 Among the many changes people will notice is that the porch is being opened up as it originally was and the areas that had been cut out of the original brick wall are being reconfigured to their original door and window openings. I was surprised to see the original supporting posts for the porch roof were buried withing the wall when the porch was enclosed. The entire project is aiming for a completion date of July 31st, 2015. This entry was posted on April 29, 2015 at 7:01 am and is filed under Historic Landmarks, Parks and Green spaces, Restoration repair and maintenance. You can subscribe via RSS 2.0 feed to this post's comments.